BOJANALE INCUBATOR offers private and shared studio spaces in a remote rural savanna, veldt-bush and kloof setting and offers an inspiring natural environment which we would like to share with other sculptors, fine artists, and writers. The 60 x 30 foot rock built main communal hall can be utilized as a Gallery space/ Rehearsal and performing area for visual, sound and performing artists. BOJANALE INCUBATOR provides full board, fully serviced accommodation and studio facilities. Managerial and curatorial staff can assist artists to fulfill their residency objectives. BOJANALE INCUBATOR is an art studio facility equipped for a range of visual arts including woodwork, metalwork, stone carving and constructing as well as painting. We encourage visual artist and writer’s retreats. The 60 x 30 foot Gallery is large enough for workshops, installations and performances. Located on the outskirts of Swartruggens in the Bojanale Province, it is holds a diverse terrain of slate quarry pits, savanna veldt, deep forested mountain gorge and untouched fauna and flora. It is a few minutes drive or bike ride to the town of Swartruggens. The farm has dramatic rock landscapes, clay riverbeds and of course driftwood to inspire. There are good local shops 5km away, including hardware, groceries, chemist, restaurants, post office etc., with the city of Johannesburg and the Oliver Tambo airport just an hour and a half distance. Transportation from the airport to BOJANALE INCUBATOR will be arranged for a fee of R300 per person and a stay in one of six self-catering cottages is available for R300pp sharing & R400 single per night, which includes a private or shared workstation in accommodation or studio, small kitchen and private bathroom. 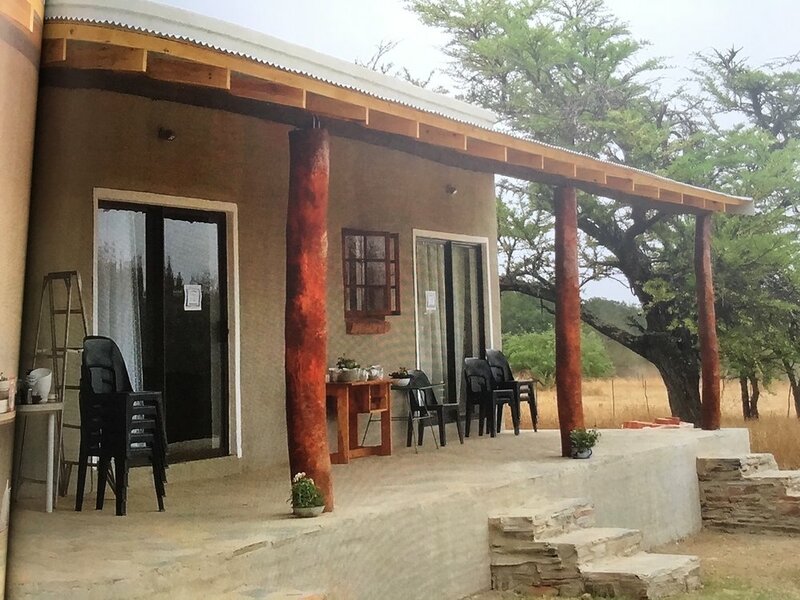 Two farm Thatched Cottages with two bedroom units and a lounge/dining/kitchen/ private bathroom is available for R800. Partners or accompanying friends are welcome as we gently encourage all to explore their creative side. Artists are required to provide their own international and local travel & production costs. The foundation will assist in efforts to obtain sponsorship from country culture desks & other interested institutions. Expenses paid by artist: Travel, Housing, Supplies and Food. BOJANALE INCUBATOR is 1 hour 45 min from central Johannesburg and Tshwane; 1hour and 30 min from OR Tambo Airport. The traumatic social history and its transformation, as well as South Africa’s remarkable diversity of culture and landscape, becomes a platform for creative engagement. BOJANALE INCUBATOR offers residency to international and local artists, providing insight and access to the region’s extraordinary cultural and environmental heritage. Artists are asked to bring their work and energy to this platform and into the region of Bojanale. The program has no predilection for dogma or style or mission, emphasizing work that is positive, relevant, and challenging. BOJANALE INCUBATOR is a Creative Residency established by Elsabé Dixon, Multidisciplinary Sculptor, Curator and Art critic who lives and works just outside of Washington DC, but who travels to South Africa on a yearly basis to reconnect with her country of origin. The organization was founded in 2016, and is based on a working Family farm, on highway 40 between Johannesburg the Botswana border in South Africa. Artists have no fixed work imperative but are required to leave an artwork for the BOJANALA INCUBATOR’s collection and sculpture works can be site specific. Artists will also participate in building the archival records of the residency. Artists are exposed to, and are encouraged to exchange ideas with, local artists, scientists, institutions and communities. Collaboration and establishing mutual networks, is encouraged. BOJANALA INCUBATOR’s reach into local life provides meaningful contact across all cultures and stimulates engagement with museums, galleries, institutions and academia. BOJANALA INCUBATOR collaborates with local academic institutions, galleries and museums, galleries and engages with local curators and artists.